To receive an Excellent rating, a faculty member should demonstrate strongly positive student response to teaching, e.g. student-sponsored teaching awards, consistently above average student evaluations, or unusually positive alumni comments. Evidence for strongly positive student response to teaching is provided by course evaluation data (particularly over the past academic year), student comments, one nomination for a teaching award that was supported and initiated by my students, and an article in the JMU yearbook about my GSCI classes. Details from the evaluations, comments, and nomination are provided below. 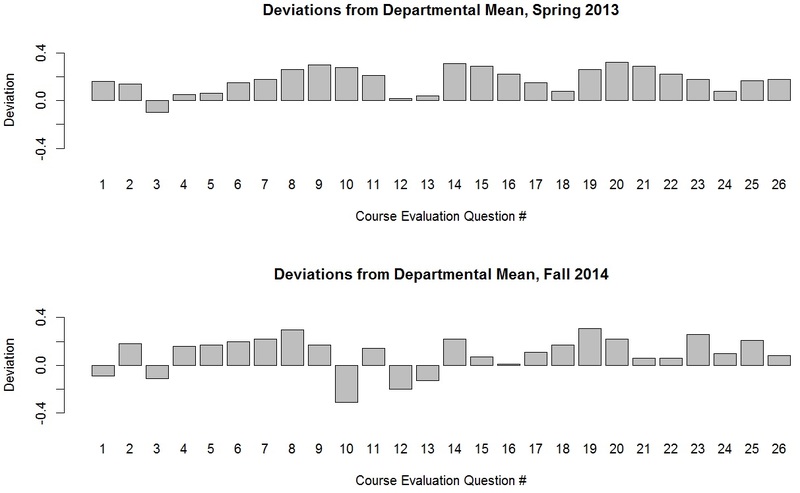 Course Evaluations – During semesters in which I have not introduced major new changes to course content or organization (which is all but two semesters since joining JMU in 2009), my student course evaluations have been consistently at or above departmental averages. 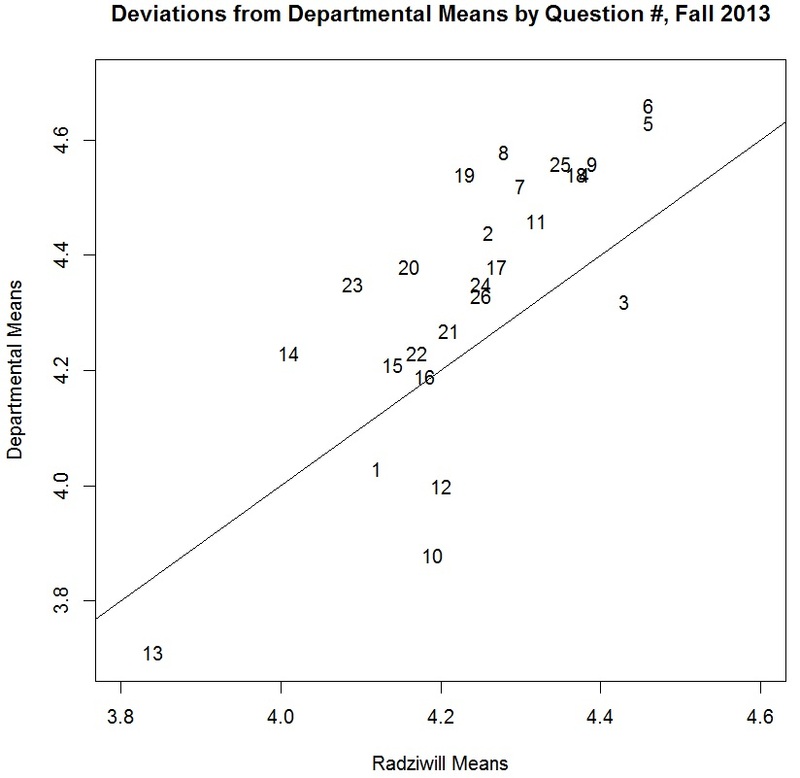 In Fall 2013, I scored higher than the departmental means on 20 out of the 25 questions, in addition to the overall score. 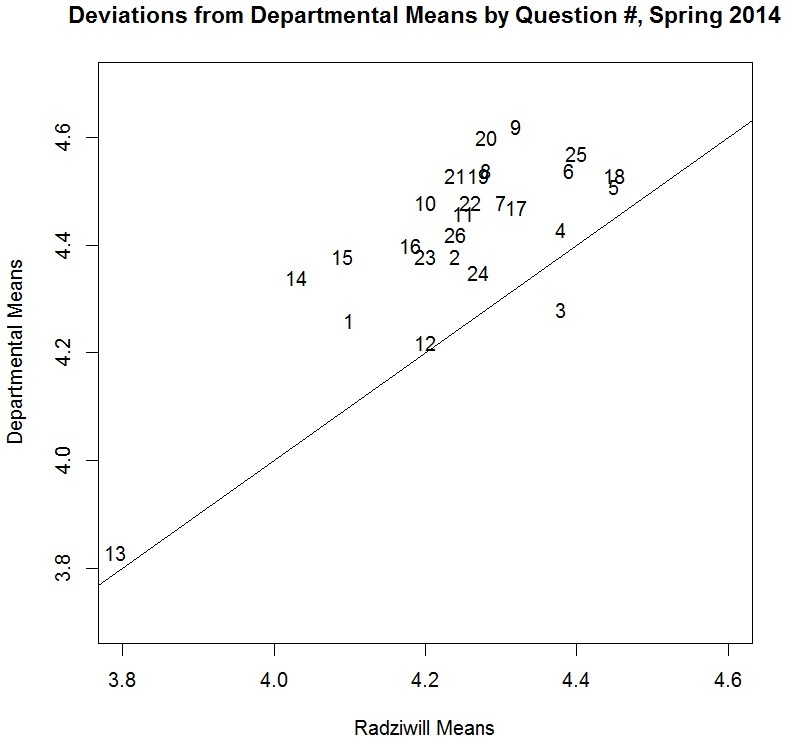 In Spring 2014, I scored higher than the departmental means on 24 out of the 25 questions, in addition to the overall score. This provides evidence that my dedication to continuous improvement is starting to reap dividends in my students’ perception of the overall value provided by my courses.